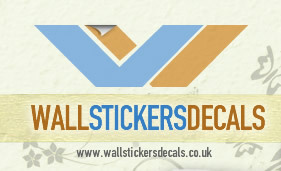 Landmark wall stickers are an economical and original way of personalising your home. 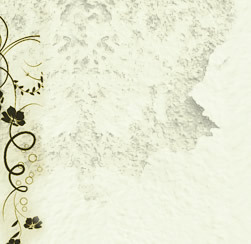 They can remind you of incredible holidays or dream locations, ensuring guests will always have something to talk about! 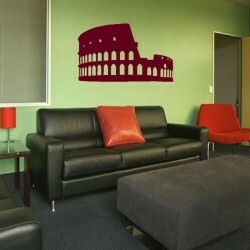 The latest wall decals are designed to stick to any clean surface with a minimum of effort, simply peel away from the protective backing and apply firmly. Naturally, the removal process is just as simple. Without the time consuming process of painting and wallpapering, you are free to experiment with colour and design in a mess free environment. 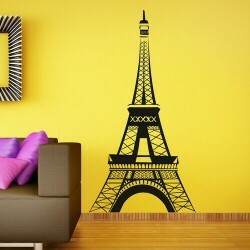 Costing far less than framed art, and requiring no long term commitment, wall decals have become the smart way of making over a room. 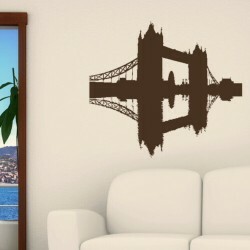 Cityscapes bring the buzz and excitement of urban life to a plain wall; select the Tower of London Wall Sticker for a permanent reminder of our capital city. This stunning silhouette of the iconic Tower Bridge and its hazy reflection in the river below, will contrast dramatically with light rooms. However, for a twist on traditional monochrome, enliven a space by choosing a brighter colour from the wide selection on offer. To create the fresh hip feel of a modernist installation at a fraction of the cost, try one of our American compositions. 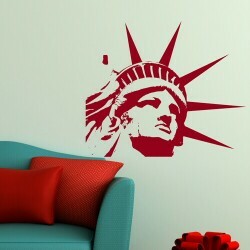 Using the unmistakable image of the Statue of Liberty as a starting point, customise a room by buying the decal in a bright shade. Try pink, green or yellow, to suggest a stylish pop-art aesthetic. 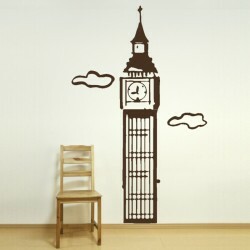 Our Giant Big Ben Arty Wall Decal, will suit city lovers who prefer a more laid back interpretation of classic images. The famous clock tower is rendered in soft lines, accessorised with a few passing clouds to complete the look. 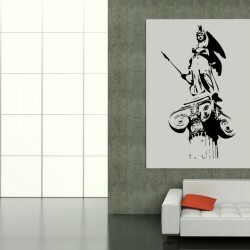 This tall impressive structure would look great in a long room, or standing guard at the top of the staircase. 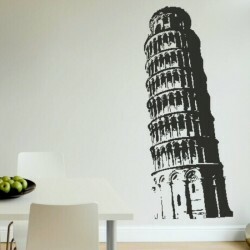 However, you don’t have to stick to a British theme; landmarks from across the world are available at wallstickersdecals.co.uk. 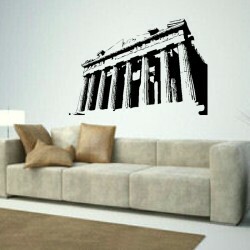 Customers looking to Europe for inspiration, will find wall decals featuring contemporary images of the Eiffel Tower and a precariously balanced Tower of Pisa, but also ancient treasures, like the Temple of Hephaestus and the Roman Coliseum. Choose an image that will provide enjoyment each time you look at it, whether it is memories of a wonderful holiday, an appreciation of great architecture or the anticipation of a future trip. 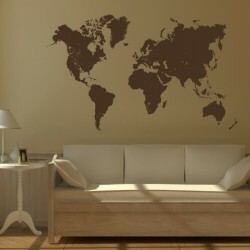 Landmark wall stickers can be a relatively large addition to your home, so spend some time selecting the right location before applying. Alternatively, there are a number of more subtle options like the tall slim CN Toronto Tower, which can occupy a smaller space beautifully. Moreover, as our professionally made decals come in a range of sizing options, you can be sure of matching your favourite design to the proportions of your home. 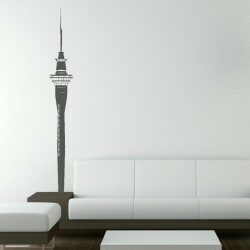 The wide range of products available, mean a wall decal can have as much or as little impact on your interior design as you wish, either hinting at an idea or providing a focal point.